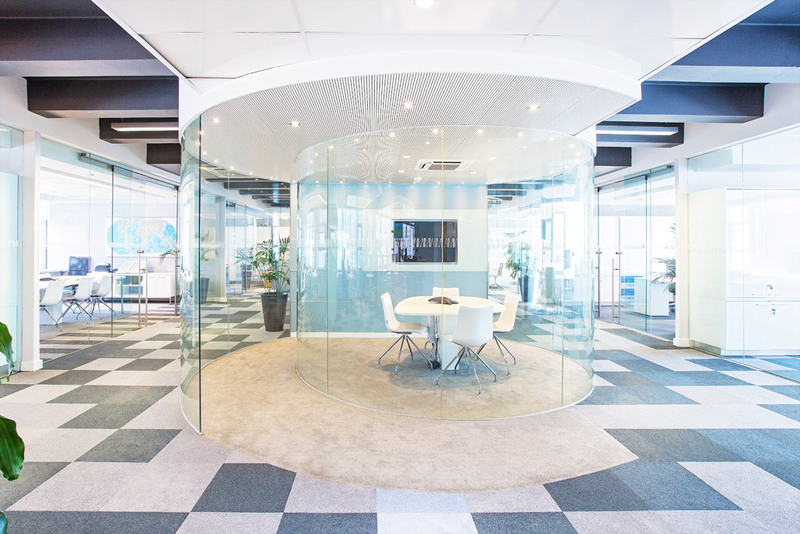 The “Snail Shell” office was installed in the Media 24 head office in Cape Town (home to many of our favourite publications and online media channels). 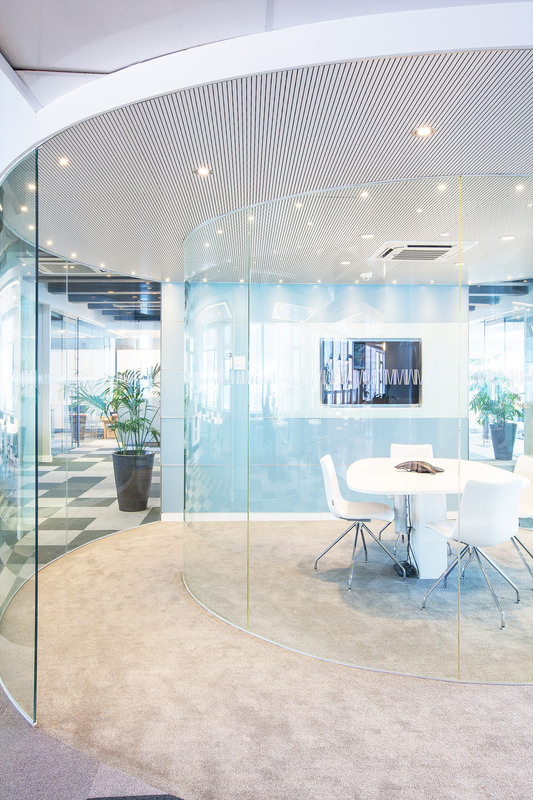 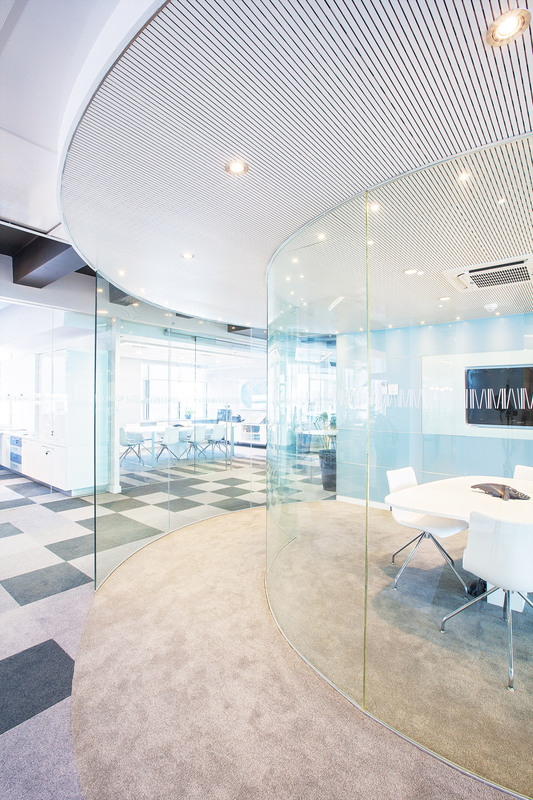 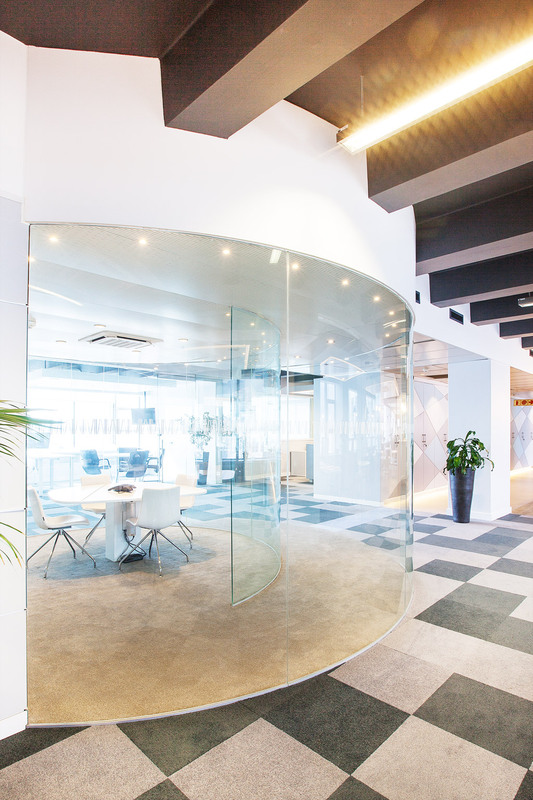 The Snail Shell office is constructed of curved panels of laminated glass fixed into floor and ceiling channel. 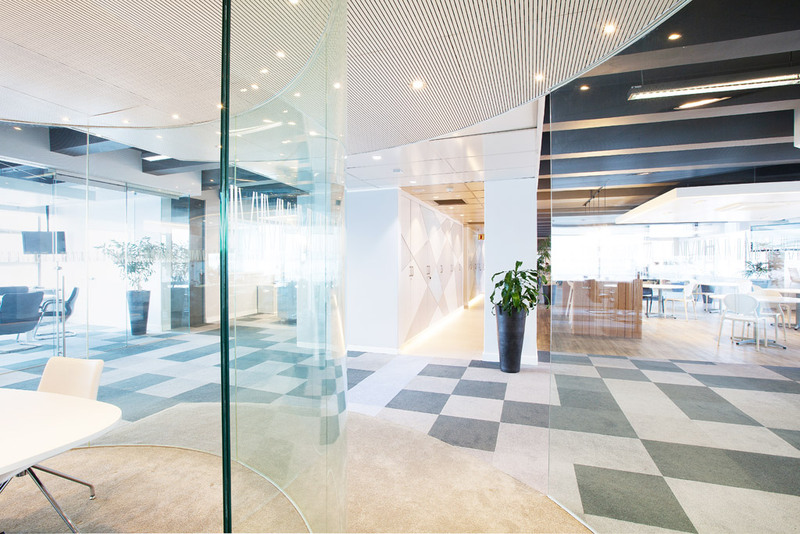 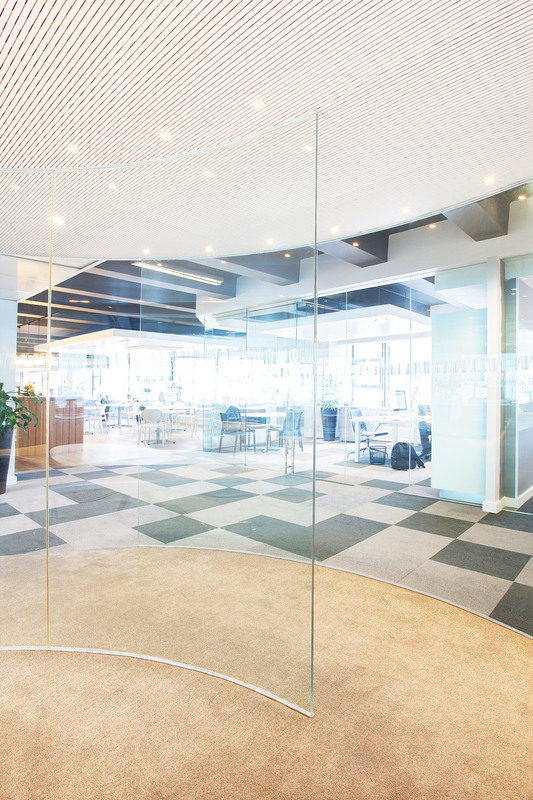 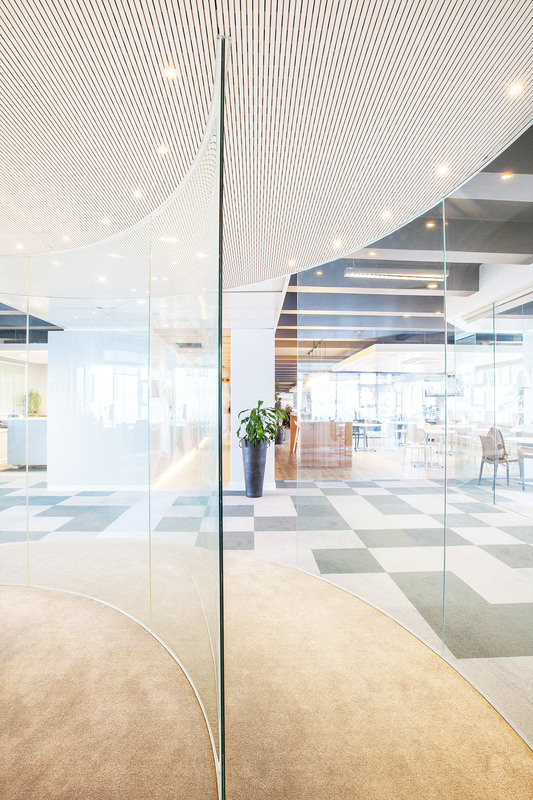 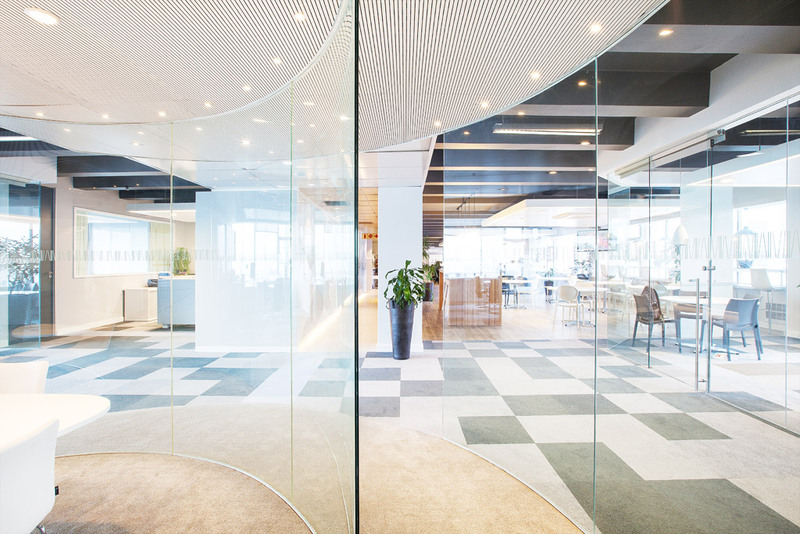 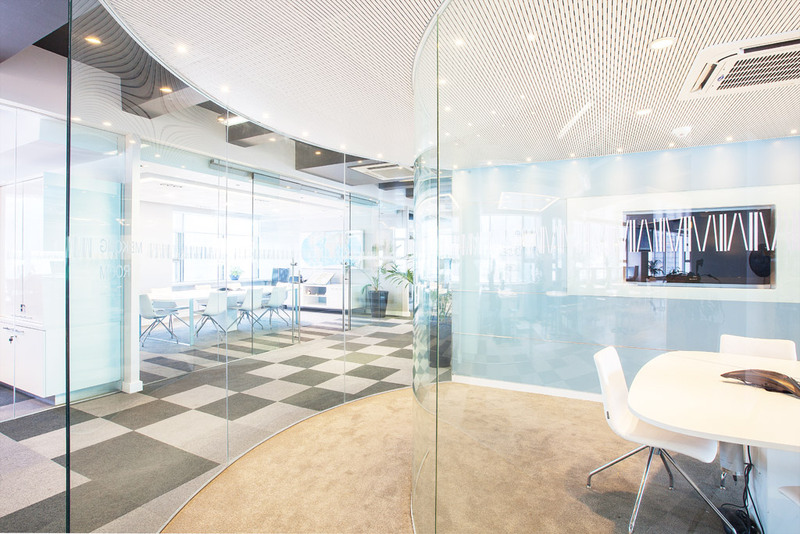 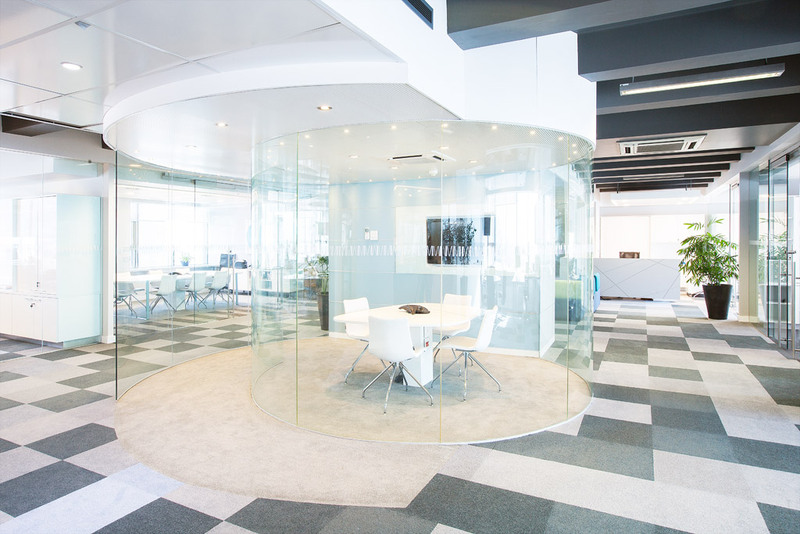 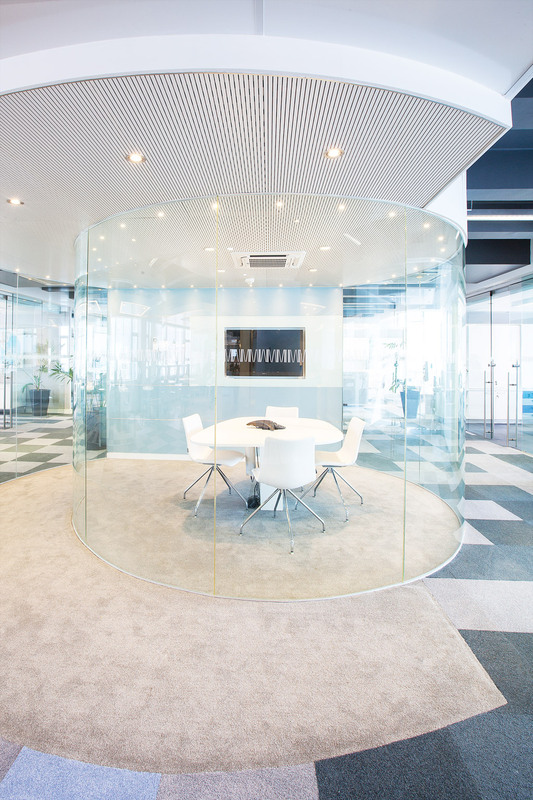 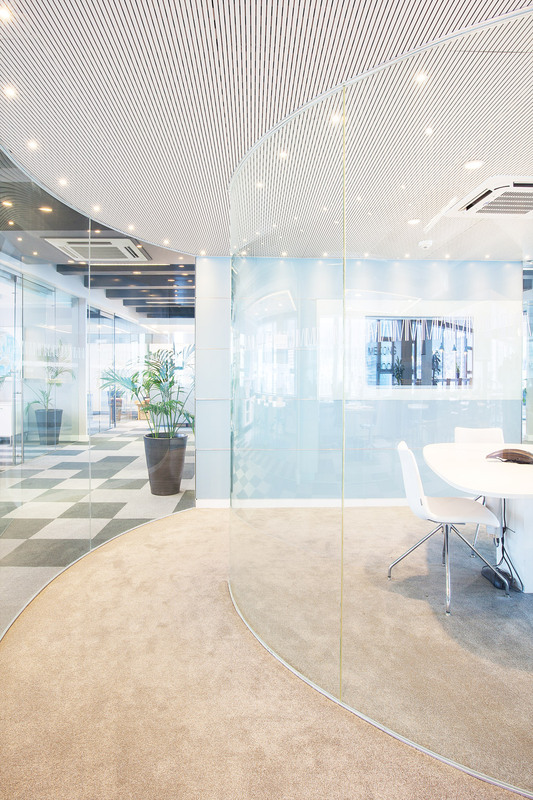 Laminated glass reduces noise and thus the office provides a quiet meeting area without having to go behind closed doors.